Schneiders is a subsidiary company of Maple Leaf Foods that is primarily engaged in the processing of meat products such as hams, deli meats, bacon, and hot dogs. Products are marketed under the Schneiders label. Schneiders was founded in the year 1890 wben JM Schneider decided to market the pork sausage that he had been making in his home. The company quickly gained a loyal customer base, being the first company in Canada to process prepared meats that are created with wholesome, authentic, and easily recognizable ingredients like sea salt, lemon juice and vinegar. 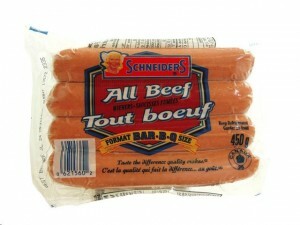 Schneiders has since become household name in the field of quality processed pork products. Schneiders products are created using family recipes that have been handed down for generations and are designed to be served with pride at every meal. Consumers trust Schneiders mainly because they know that the values JM Schneider implanted at the company over a hundred years ago continue to be practiced. Schneider always ensured that only the best cuts of meats, those that are hand-trimmed, are used to create the company’s products. The meats are then added with seasonings and natural spices. Schneider believed in the importance of craftsmanship. He also followed traditional, time-honoured recipes that give the products the delicious taste that they have. Among popular Schneider products are cold cuts, deli meat products, bacon (sold under the country naturals brand), hot dogs and hams. Schneiders’ cold cuts include oven-roasted turkey and oven-roasted chicken, while Schneiders’ deli meats include salami. Aside for marketing the products under the Schneider label, these products are also sold under the label Country Naturals. All of Schneiders’ products are all-natural. These meat products do not have any preservatives, no additives, no artificial colour, artificial ingredients, or flavours. These products also do not have by-products or any MSG (monosodium glutamate). I used to buy Schneiders Braunshweiger pate all the time. I live in Calgary, Alberta, Canada and I have convassed all the food stores and it is nowhere to be found. Does Schneiders still make it and where can I find it? It is hands down better than any of the liver pates a person can buy, in my opinion.